"On behalf of everyone at Waitrose, we would like to thank Mark for a truly magnificent performance. He kept everyone captivated and amazed, not to mention wondering how he achieved what he did. It was a fantastic and memorable evening, and we look forward to using Mark's services again." "We have had many comments on how professional and entertaining Mark was, to the point that most have expressed it was the best wedding they have ever been to. We would not hesitate in recommending him to others in the future." "Thank you Mark for helping us make our party a really memorable occasion. I think Mark successfully managed to bewilder all our friends with his amazing talents!" Originally from New Zealand, Mark Cairns has been performing professional magic for ten years and in that time has quickly established himself among the top professional magicians in the UK. 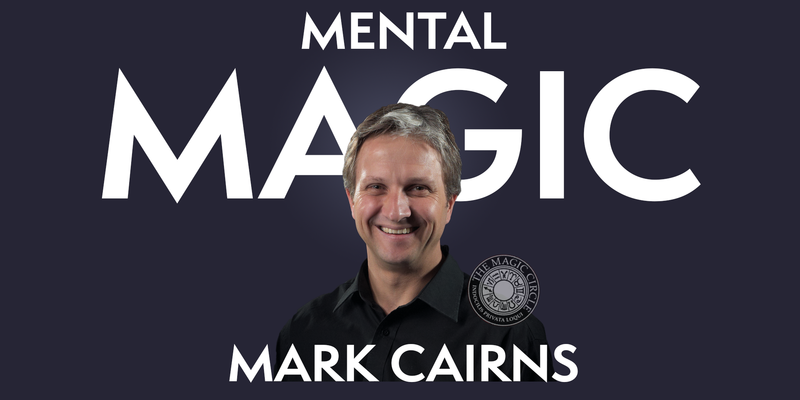 Professional close up magician Mark Cairns primarily performs as a psychological mind reader in an act that is designed to appeal to a sophisticated and intelligent audience. The key thing that this professional magician will bring to your event is a sense of fun - the emphasis is not on fooling or embarrassing people. Instead Mark focuses on making sure your guests are having a good time. Even though you are organising the event, you want to be able to enjoy it yourself without having to worry about unreliable performers. Mark prides himself on his professional approach, his punctuality, reliability and on the good hospitality he shows your guests. This, along with his established track record and portfolio of customer references, make Mark a safe pair of hands for your event. A full-time professional magician specialising in magic for adult audiences, Mark has worked the length and breadth of the UK performing both as a corporate magician and providing wedding entertainment and private party entertainment for adult audiences. 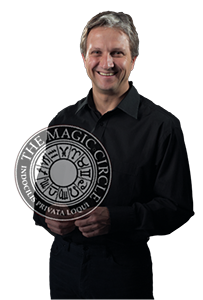 Magician Mark Cairns is a member of The Magic Circle, the global organisation for top level magicians. When you hire close up magicians for your event, they interact one-on-one with your valued guests. This means that the magicians you hire will have a major impact on the impression that your guests will take away from your event - both good and bad. 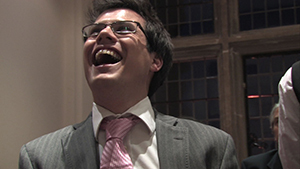 This means that, as one of The Magic Circle's full-time professional UK magicians, Mark is a safe pair of hands. His personable manner and people skills make Mark an ideal hospitality performer, and his customer testimonials testify both to the quality of his act and his ability to leave guests with a good impression. Mark has prepared a page of further advice on how to hire a magician which you can read to help you make the right decision for you. Or simply contact Mark today to make your event a big success! The Magic Circle has its headquarters in Euston, London, in a purpose built building - The Centre for the Magical Arts. This boasts a museum, a library (for magicians only) and a fully equipped 160 seat theatre. The Magic Circle headquarters are available to hire for corporate functions and events. As you would expect, The Magic Circle holds plenty of closed door activities for magicians, such as regular meetings and lectures. There are also a number of events put on regularly for the general public. The famed 'Meet the Magic Circle' evenings, where the guests are treated to an evening of performances by some of the top magicians of The Magic Circle, are a popular evening out and the annual season of The Magic Circle Christmas Show is routinely sold out months in advance.